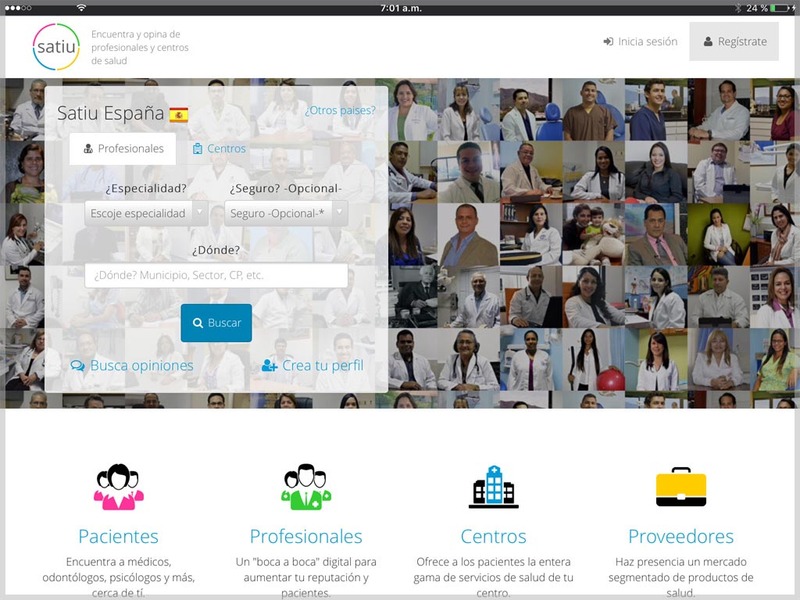 Satiu is an e-health startup originated in Venezuela and accelerated in Spain. The goal is to create a meeting place between the main 4 parts in the health area: patients, professionals, health centers and providers of health products and services. Everyone should have access to the information they need. In addition, the website is designed as a comprehensive solution for each one of the different users.